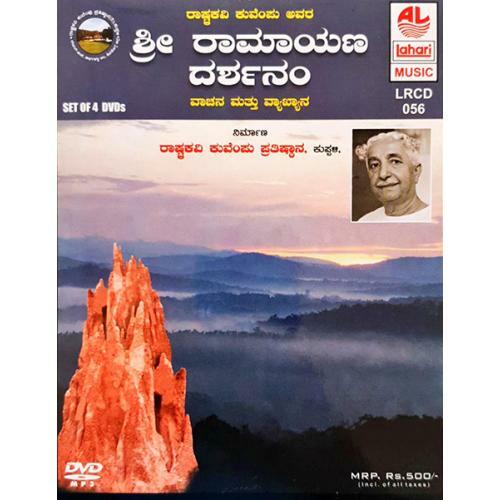 Sri Ramayana Darshanam is the most popular work and the magnum opus by Rashtrakavi Kuvempu in Kannada based on the Hindu epic Ramayana. It earned him many distinctions including the Sahitya Akademi and the Jnanapeeth award in 1967. The theme is the well known story of Rama in Valmiki's Ramayana, transfigured in the poet's vision. The poet calls 'darshanam', it is the poet's realization that all the creation is caused, pervaded, sustained and governed by the cosmic mind. 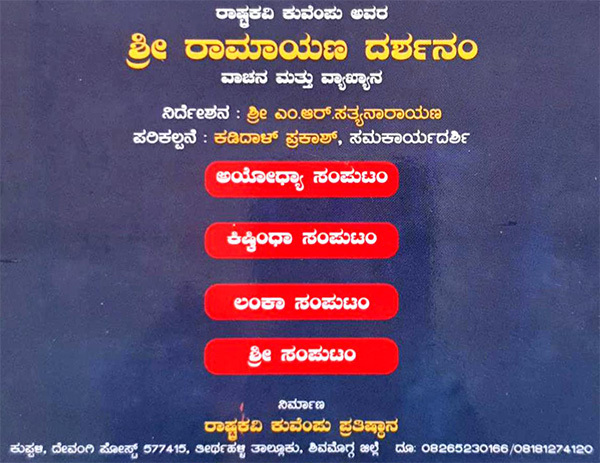 Abounding in metaphors and Homeric similes, introduced by the poet himself for the first time in Kannada, the epic brings home the truth that all beings, even the most wicked and sinful, are destined to evolve and ultimately attain perfection.